Green beauty: do you care for green packaging? 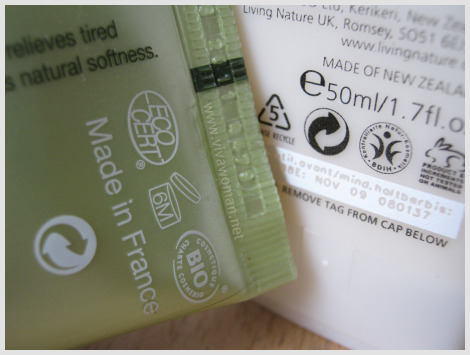 I have one question for those of you who are into natural and organic beauty products: do you realized that many of the packaging are marked as recyclable? If it’s not recyclable plastic, then it’s biodegradable paper or something. I actually find that very interesting and wonder how many people who use these products actually care for those labels. But what I didn’t know was that this has great implications on businesses than consumers. According to Beautypackaging, cco-conscious consumers are demanding greener packaging to help save the planet. If a company proclaims to be in the natural/organic camp, they had better take on the social responsibility of creating greener packaging to prevent being hammered by the relevant interest groups and to remain competitive. However, because greener packaging materials are often more expensive, that would also translate into added cost for the consumers! Personally, while I don’t care much for packaging boxes that are marked as “recyclable”, especially not if they add to the cost of the product, I usually try to recycle my bottles where possible. And the only reason I do that is because I usually like the bottles and find them useful. Otherwise, most of the packaging just end up in the bin. No recycling whatsoever. So what about you? Do you demand for green packaging? Is it something that you pay attention to? Or is it something that just passes over your head? It is very important that we begin using and demanding green packaging. The world is moving closer to more sustainable/renewable products and/or services. However, just like the “Pink Ribbon” that many manufactures attached to their products some companies claim to be “green” when they are not. The moral of the story is that SOMEONE has to be conscious about green packaging and I am one of those people. You raised a good point…it could be driven mostly out of commercial interests. I’m glad that you’re green conscious. We’re only beginning to be take on green practices here. Though I understand the importance of ‘sustainable’ issues, green packaging does not come as a priority for me when I pick up a product. Honestly, I care more of the ingredients of the product rather than the packaging! However that being said, this doesn’t mean that I do not believe in recycling. I re-use my empty containers more often than not and do separate boxes, plastics and glass to be sent to recycling places. I share the same thoughts as you. Ingredients over packaging issues. Usually I will ask if the sales assistants if they want to reuse the boxes of the products I bought, to put on shelves as dummy instead of using boxes containing the real products. If not I will reuse the boxes to use as mini trash box or sample holders, or I will place in recycle bin. I applaud your gesture to ask the SAs. I doubt anyone does that here but some brands like Kiehls do provide a recycling bin in their stores. I feel better when I see that a product comes in a “green” packaging but it’s not a requirement for me. For example, if I have 2 products I equally love and one comes in a more eco-friendly packaging, then it gets bonus points for me. I’m also wary of this “green packaging” trend being used plainly as a marketing gimmick. I don’t like it if they mark up the price because of that…but of course that process is hidden from us. I don’t really care for it when I purchase stuff (they mostly come without a box anyways), but it’s certainly a good plus. Conserving the environment should be one of our priorities! I do really appreciate when brands use recyclable packaging. I have a trash can for recyclables because I have recycle bins under my block, and it’s quite convenient. So I try to recycle all my papers and plastic containers. I actually feel guilty when a product I buy has full blown plastic packaging, Japanese style, because I just throw everything away. It is an added plus point. But it won’t stop me from purchasing that product if it does not come in green packaging, like my Shokubutsu body soap refill, which is made of plastic I think. Haha…don’t think the bottles break so easily but I know some of the inks fade more quickly. I think if a product has gone to the effort to have only natural and organic ingredients the mindset of the business owners are generally already switched to a more sustainable future. Therefore you would probably find they use sustainable packagaging. We have been recycling everything from our plastics, paper, glass and cans for at least a decade. It is a service provided by our local government and has just become our way of life. It’s good you’re more proactive with recycling where you are. We do have programs but I would say we’re still in the infancy. I would give extra points if they had eco friendly packaging but the ingredients matter more for buying/rejecting a product. Same here, but I was told that for a true natural brand, eco friendly packaging is important. If a brand is marketing themselves as a Eco-friendly or organic product or somewhere along that line, I would definitely take the packaging into consideration. But then again, if the contents aren’t good then green packaging isn’t gonna make me buy it! Interesting point! I don’t always remember to check if their packaging are recyclable but yes, I go for ingredients over packaging materials. It’s true about the waste and it’s sometimes done subconsciously too…actually until I read through some of the comments, I hadn’t realized that I was also recycling because I throw all my packaging into a green bag which is collected every fortnight. Geez…usually, they add up to one big bag say every month! i care because if the manufacturers bother with this, they would likely be the ones who will care about what they put into the products too. I see…it’s an interesting point but I am not sure if the connection is absolute across the board. 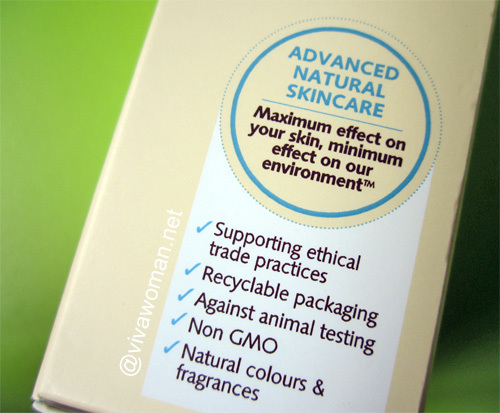 I do care about packaging, as much as I pay attention to whether animal testing is done… I also much prefer products with minimal packaging e.g. 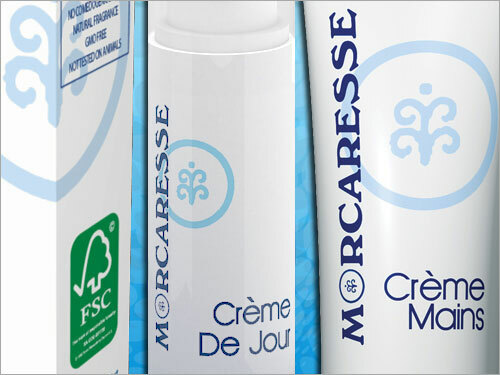 toners that are sold in their bottles without boxes nor plastic wrapping over the entire bottle. I do understand that sometimes consumers have more ‘confidence’ about the quality and cleanliness of products when they are sold wrapped up in plastic or in boxes because we can tell if the products have been tempered with or tested for instance. One possible way to get around this without an obscene amount of needless packaging is probably just placing hard-to-be-removed stickers or shrink-wrapping the openings of containers/bottles. It would be wonderful if more products can be sold with minimal packaging. Your point about minimal packaging is excellent! I like that idea too. Come to think of it, I actually quite like products without boxes. One less thing to discard! I purposely seek out companies that make solid shampoos and use very little packaging. I stopped using bottled shampoo a year ago. I buy my soaps and shampoos from Chagrin Valley Soap and Salve’s website. The products are mostly natural, and the bars are wrapped in paper. Ah…I am also trying out a soap shampoo but I still prefer liquid shampoo. If they really want to go green, they can also offer refillables like the Japanese do, right? Or cut down on the labelling too. Some of them have so many inserts also. Yes, agree. I like the refillables.